Nelson Lakes Shuttles provide trampers / hikers transport to the Cobb Valley. 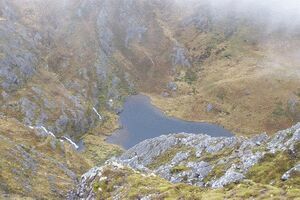 This section of Kahurangi National Park would be one of the best tramping areas in the Nelson region. It caters for family groups right through to the experienced tramper. The 28 kilometer access road is a tribute to those early road builders. But be warned it is very narrow and in winter can be very icy to the point you will need to carry snow chains. Trilobite Hut at the end of the road is still comfortable and fortunately doesn't attract the same level of vandalism that other road end huts endure. 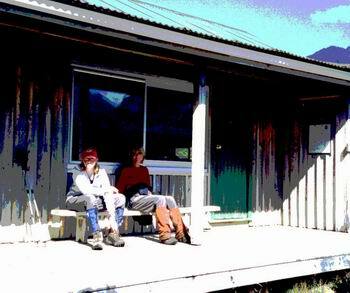 The most popular tramp is up the valley to Fenella Hut (4-5 Hours from Trilobite Hut). We have based ourselves here for a whole week and just did day trips in different directions (see below). DOC have done a lot of work on the track and very rarely do you sink up to your waist in black smelly mud. 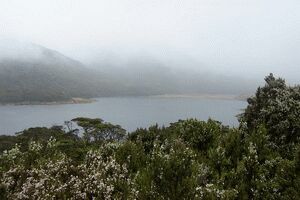 This used to be my favourite tramping area until I discovered Nelson Lakes National Park. But I still enjoy returning to the Cobb Valley. 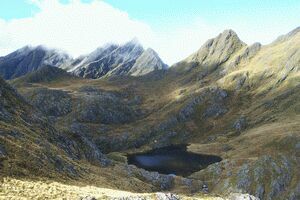 You can spend many tramping trips in this area. Trilobite Hut is right at the end of the road and still offers comfortable accommodation. The track to Chaffeys is a easy two hour stroll often beside the Cobb River . Keep an eye out for trout in the clear water. Unfortunately you could stay in Chaffeys Hut. But these days it's in a bad state of repair. It would be a shame to lose this character hut built of split beech slabs way back in the early 1950's. 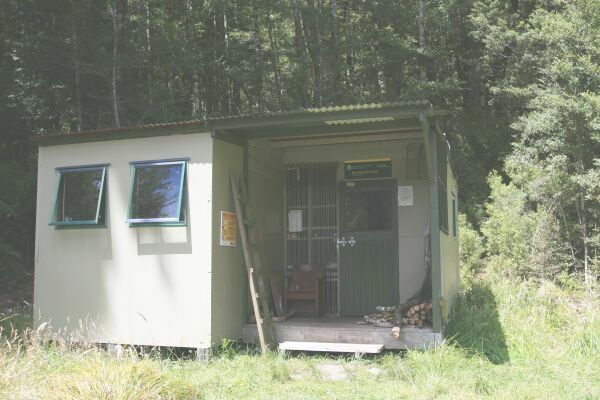 I spent a many a good night in this hut. The track continues up the true left of the Cobb River and again it's a easy stroll to the Cobb Hut (sleeps 4). The valley is wide and gives you good views of the surrounding peaks. The hut was dragged up the valley by a bulldozer way back in the early 1930's. 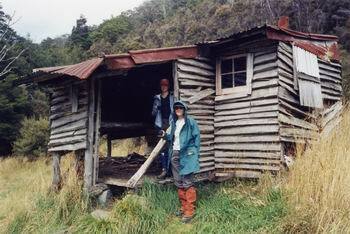 The only time I've ever seen a rat in a hut in all my tramping years happened to be in this hut. He was on the top bunk watching us eating our lunch. Don't be put off by this encounter as that was nearly 20 years ago. I've stayed there since and the only rat I've seen was of the human kind. 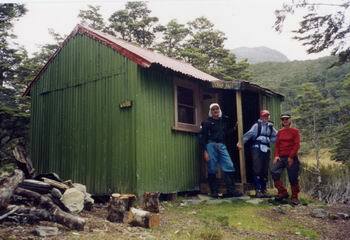 This hut is handy if Fenella hut is crowed and good for exploring Cobb Lake and Mt Cobb. 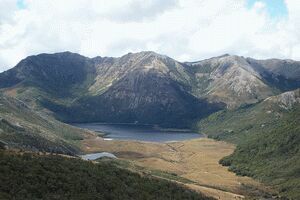 Day Trips From Fenella Hut.